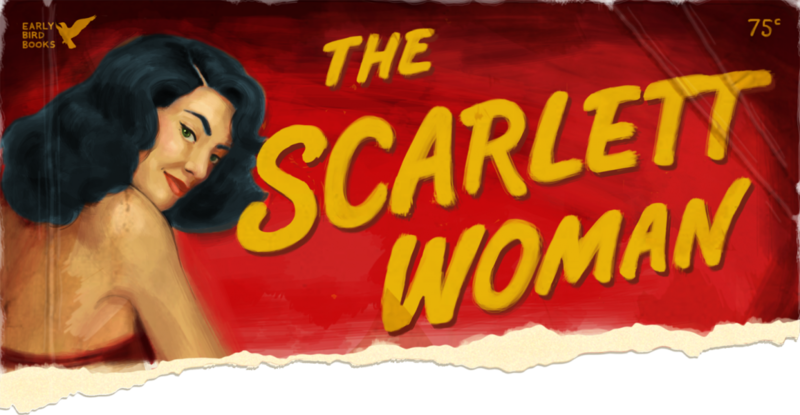 ← Women in Fiction: My Favourite Fictional Females. 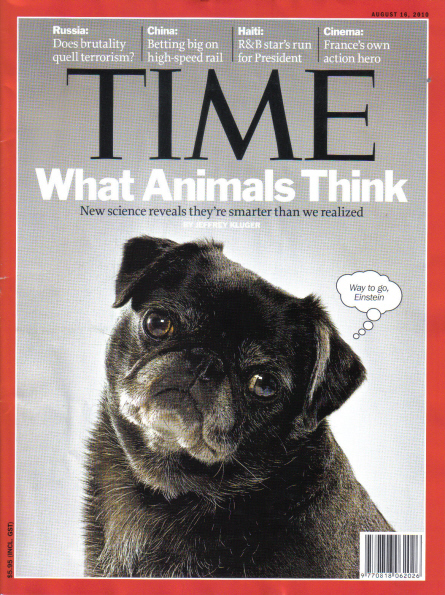 Review: Time Magazine’s “What Animals Think” Issue—August 16, 2010. I’m a sucker for a puppy, which adorns this week’s Time cover. And the accompanying article, “Inside the Minds of Animals” by Jeffrey Kluger, doesn’t disappoint. It opens with the author’s “coffee date” with Kanzi, a talking bonobo with a vocabulary of officially 384 words, “though he probably knows dozens more”. Kanzi is able to asks for hugs and kisses, which he likes, and understand the concept of pointing which, aside from humans, really only dogs “understand innately” and “seems simple, but only because we’re born with the ability”, which bonobos are not. Kanzi also understands tenses in words (“concept words like from and later”), which is a breakthrough in itself, aside from the fact that AN ANIMAL IS SPEAKING! The article asserts that humans treat animals differently because they can’t “understand” and are possibly not even conscious (potentially the butterfly, cockroach and bivalve [oysters, muscles, clams]); but now that certain species are mastering human language how does our perception of them change? Most agree that dolphins and great apes are the smart ones, being able to recognise their image in a mirror, which indicates a degree of social awareness, in addition to social carnivores like pack dogs. The proof is in the pudding when it comes to some of the experiments the article mentions, as well as in everyday life in the example of aid dogs. I was particularly touched by the mourning expressed by elephants when one of their herd dies, and the “respect” they exhibit “when they encounter elephant bones, gently examining them, paying special attention to the skull and tusks”. But don’t just take my word for it; pick up a copy for yourself or see the online extract. Trust me, food for though. Elsewhere: [Time] Inside the Minds of Animals.